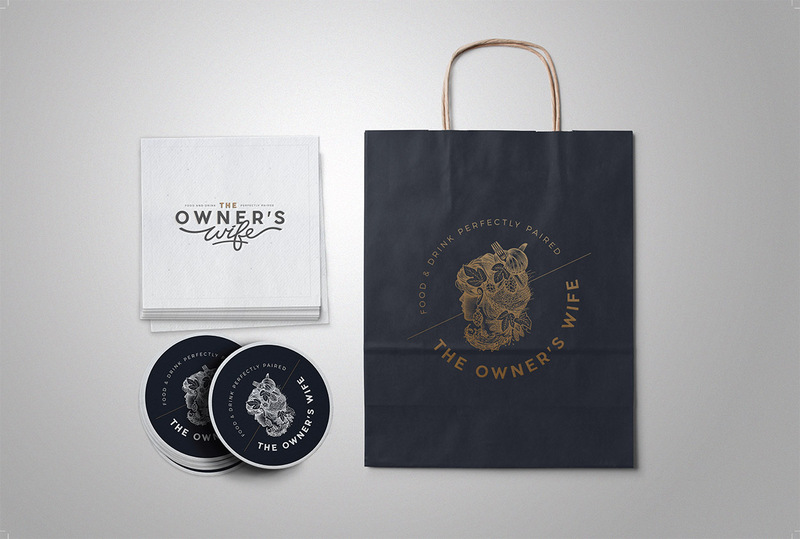 In advance of the restaurant’s opening, Miller Brooks created an illustrated logo, showing a woman whose very essence incorporated food and drink (complete with a hop earring). 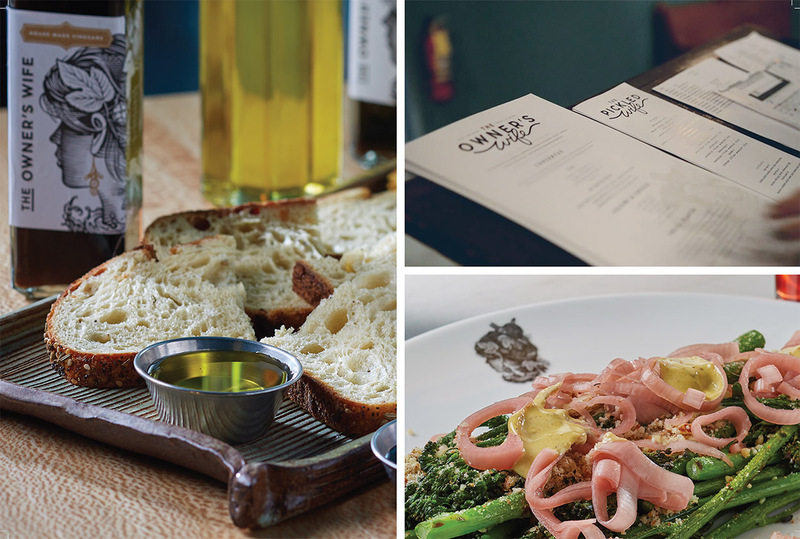 That logo soon appeared on everything from signage to menus to glassware—and on packaging containing the venue’s house-made conservas and vinegars. 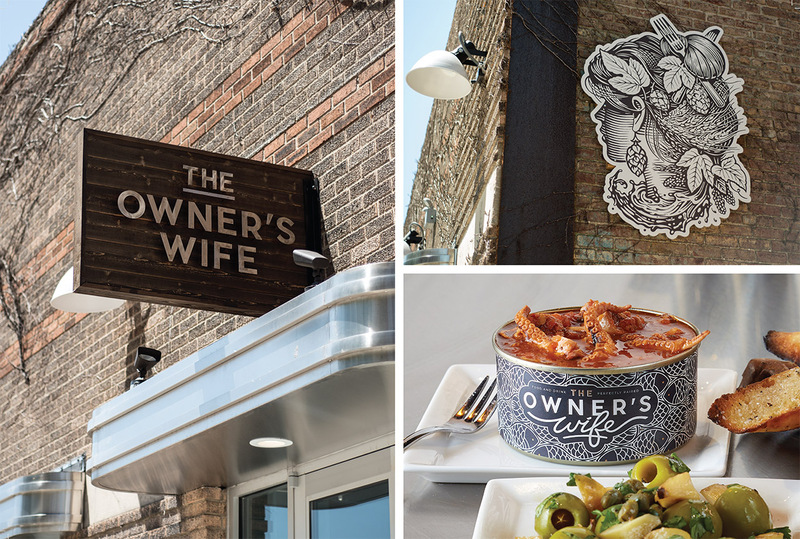 Throughout the restaurant and beyond its doors, the various brand elements of The Owner’s Wife were designed to work in tandem—harmonizing as deftly as the flavors in the diners’ meals. This very unique creative garnered Miller Brooks the “Best of Show” honor at the local ADDY Awards put on by the local American Advertising Federation (AAF). The work went on to win a Gold at the regional ADDY event, and was recently recognized with a National Silver award at an awards reception in Chicago held by the AAF. Other “big name” agencies within the tier included GSD&M, Carmichael Lynch and BBDO, as well as international heavy hitters.